I am trying to put together some special things that remind me of Trey. 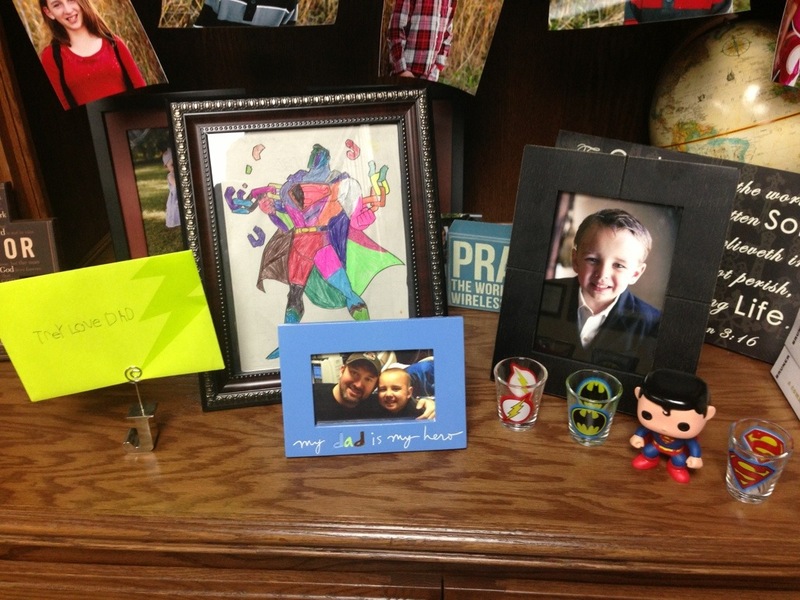 Below are a few pictures and things I love…things like the last card he gave me for Father’s Day; the picture he gave me in the frame that says, “My dad is my hero,” the last picture he colored for me; etc. All these things hold a very special place in my heart and just remind me how much of a blessing Trey was to me. This has been a very hard week for me though. I’m trying desperately to do normal things and be like I once was, but behind everything, there is just such a different feeling. I’m discovering that somewhere along the way, Trey became probably a little too important to me, and I don’t think I really ever surrendered him fully to the Lord. There is a fine line between loving your children and making them the most important thing in your life…almost idolizing them (something we are to never do). Trey was and is easy to idolize though…especially watching how he endured what he did this past year and how he brought such joy to so many lives, especially mine…BUT…Trey would not want me to idolize him and not be able to go on without him. He is with the Lord…he doesn’t need his mom and dad anymore…he’s in great hands…I must truly release him to the Lord, just as Abraham did Isaac, if I am to begin really living like I need to. The Lord wants us to surrender ALL things to him…even good things. He desires and is the only one worthy of worship in our lives! It’s just such a challenge to surrender everything…especially the people you love the most. For the Christian, you just cannot be who God wants you to be without full surrender to the Lord. There are still things in m heart that I need to let go of. Pray for me if you think about it. I’m going to have to do the hardest thing ever…and I need to do it soon…I’m going to have to release my son completely to the Lord. The irony is that Trey is already with the Lord, but the release has to happen in my heart. I will always love Trey and miss him very much, and anticipate daily seeing him again, but I can’t let the loss dominate and control my life…which is easy to do. I know Trey is with the Lord and I’m sure he talks to the Lord about all these things…and I know he knows I love him…but I’ve got to keep living and breathing and functioning as best as I can, until the Lord calls me home.